From the physical exam down to questions asked by the client on social media—manage your veterinary records to prevent (or, worst case scenario, survive) state board inquiries. 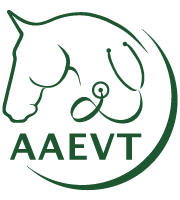 Medical record management is a hot topic among equine practitioners. For some practitioners, specifically those who remember when medical records were simpler, proper note-keeping can be a burden and may even inspire resentment. But this is an issue of protecting yourself from the rightfully watchful eye of each state’s examining board and their commitment to ensuring proper care to patients. Can some complaints issued result in a journey down the rabbit hole only to find out that you did everything right? Absolutely. Thankfully, there are ways to address any anxiety you may feel about a board review and to help you sail right through if it happens. The best way to survive an examining board inquiry is to not have an inquiry against you in the first place. Poor recordkeeping is a component of poor communication, which is a huge factor in client dissatisfaction, including the kind that may cause horse owners to pick up the phone and complain about your care. All of the steps listed below can help you avoid being under inquiry as well as ensure your survival if and when it happens. Most practice acts are kind enough to spell out exactly how you’re expected to practice and therefore, describe precisely how to be successful during an inquiry. 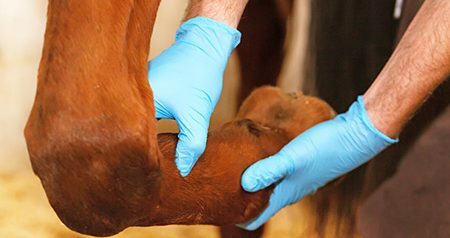 Unfortunately, some practice acts focus more on companion animals and sometimes even lump in horses with livestock. This is a good thing. The majority of states are continually reviewing their practice act, trying to keep up with changes in the profession. As such, the examining board can and should be your friend—a resource to clarify things you’re not sure about and an avenue to express your opinion about needed industry changes. Every time you see a patient for a reason that isn’t preexisting, or a condition that may be preexisting but hasn’t been seen by you in over a year, it’s both legally required (in most states) and wise from a practical standpoint to start the appointment with a complete physical exam. Do the exam. Record your findings. You can set up particular fields to fill out in today’s electronic medical records for everything you’re required to assess. If these fields are defaults for every visit, it’s an efficient means for recording everything that should be in that record. This will always be the first place the examining board looks, and if you did the exam and noted the findings, it’s likely to be a good day for you. If this part of your patient record is absent or incomplete, whatever else you did or didn’t do will likely be moot. To be more specific, if you fail to perform an exam, the findings could be invalidated by the absence of the supplemental information that supports your diagnosis.